Exploring parallels between the differing views on hell and the atonement theories. For most of my life I held to the belief that hell was a place of eternal conscious torment, in addition to this I believed that Christ died on the cross to appease His Fathers wrath, thus redirecting God’s anger toward the innocent Lamb that was stricken in my place. For thirty years the idea of hell as a place of eternal conscious torment (which I will refer to as traditionalism or the traditional view from here on) and Christ’s atoning work on the cross being viewed as a substitutionary act of appeasement satisfaction (or Penal Substitution in theological jargon) were simply the only views I had ever been exposed to. When I was eventually exposed to alternate ideas about the afterlife such as Universalism and Conditional Immortality as well as alternate theories of the atonement, I became persuaded by scripture that there were more biblical sound options out there than those I had always held to before. Conditional immortality (which is where I landed) basically says that only those who are in Christ will inherit eternal life while those who have rejected Him will be cast from His presence and suffer a second, final and eternally lasting death. Similarly, I began to understand the cross more in the sense of a spiritual battle between the Father, Son and Spirit against sin, death and Satan. The atonement was no longer about Gods need to satisfy His wrath or a means to finding a balance between His need for retributive justice and love but rather, the atonement was about the godhead's victory over the powers of darkness (theologians call this view Christus Victor). While I have already written quite a lot about hell as well as atonement theories in the past (and I will put a list of links to those articles at the end of this post for those who want to dig deeper), I have never explored the relational links between the traditional view of hell and Penal Substitution as opposed to those I now hold to of Conditional Immortality and Christus Victor. I should add that not everyone who believes in Conditional Immortality necessarily believes in Christus Victor and likewise, not everyone who believes that hell is a place of eternal conscious torment believes in Penal Substitutionary theory. Nevertheless, I will lay out a few thoughts below as to why I think that Christus Victor and Conditional immortality compliment one other and together give us the best interpretation of scripture; simultaneously I will mention some of what I believe to be the shared problems between traditionalism and penal substitution. 1 - Traditionalism and penal substitution both downplay death. The traditional view of hell tells us that the wicked will not perish but that the wages of sin will be eternal conscious torment. Although the word ‘death’ still gets thrown around by adherents, it has being completely redefined. Death to traditionalists does not mean the permanent ending of life but rather gets reinterpreted as an ‘eternal conscious separation from God’ or as having to endure ‘immortality in hell’. 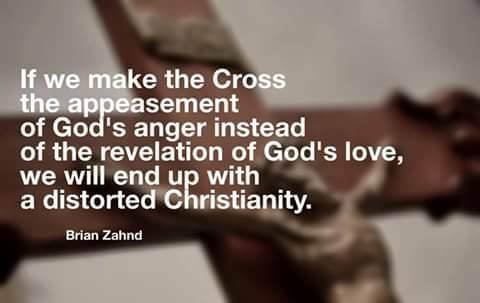 Similarly, penal substitution emphasizes the suffering of Christ on the cross as a payment made to God on our behalf. The death of Christ is hardly significant or even necessary within this theological framework. Penal substitution says that on the cross God placed all the sin of the world onto Jesus and when the Fathers wrath had been fully poured out on Him the separation within the Trinity was once again restored. This is why Jesus says “Father, why have you forsaken me?” but soon afterward can say, “Father, into your hands I commend my spirit’ and then “It is finished”. Under this interpretation the only reason Jesus died and rose again would be as a confirmation of God’s acceptance of His sacrifice. Conditional Immortality and Christus Victor are about restoration, Traditionalism and penal substitution are about holy violence. I read a statement on a discussion in a Facebook group that really caught my attention a few days ago, it simply said, “I struggle to see how death is both an enemy AND God’s punishment”. It was a fantastic observation that was being made because it highlights another area where conditional immortality and Christus Victor stand in contrast to traditionalism and penal substitution. Traditionalism sees death (defined as eternal conscious torment) as a punishment dished out at the hands of God. 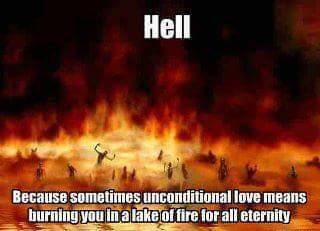 Hell is viewed as a place where God sends people and keeps them alive under the ghastliest, most macabre and violent conditions imaginable. It is an utterly hopeless predicament as this form of justice is purely retributive. Really it is a no win situation for anyone, not even for God because His wrath remains unsatisfied forever and ever and so the lashes and torment must continue forever and ever. Likewise, penal substitution says that God poured out His own wrath on His own Son, anyone who has ever watched the Passion of the Christ movie before has some idea of just how violent Christ’s death actually was. While the Bible explicitly speaks of death as an enemy (1 Corinthians 15:26) and a tool of Satan (Hebrews 2:14, John 10:10), it bewilders me that it has somehow become associated with God in two of the major doctrines in the evangelical church of today. Whereas violence and death are central to traditionalism and penal substitution, restoration and life are central to the teachings of conditional immortality (one of the reasons I prefer the term over annihilationism) and Christus Victor. While there are conditionalists who believe that God annihilates the wicked, others (including myself) believe that death is not God’s punishment but the natural conclusion of life outside of Christ (Romans 6:23). God never said to Adam that if he ate the forbidden fruit He would kill him, rather, He warned Adam of certain death in rejecting the tree of life and trying to go it alone (If you eat of the fruit you will surely die - Genesis 2:17). Conditional immortality is about God making a way in Christ for us to find life. It’s about restoration and eternal life through the cross to all those who believe in Jesus (John 3:36). This fits well inside the Christus Victor framework which likewise is about restoration. Christ’s victory over His enemies (death, sin, Satan and those who followed after him) means that one day everything will be restored or renewed, everything will be ‘very good indeed’ as it was in the Garden of Eden. When only that which is subject to Christ’s reign and rule remains, then He will truly be ‘all in all’. Traditionalism and penal substitution are about constraint whereas conditional immortality and Christus Victor deal with annihilation. In the traditional framework of hell evil is never ending, God’s creation is never restored to its original state but rather, is split into two sections. Firstly, we have heaven and/or a new earth where God’s will is done and creation is good, this is the Kingdom of never ending peace. Then we have hell, where everything outside of God is imprisoned, it’s a little like the old movie Demolition Man, with Sylvester Stallone and Wesley Snipes, where you have this perfect, non-violent society that has been created while at the same time there is this not so perfect society coexisting underground. The movie, much like Dante’s idea of hell, only deals with evil in the sense that it drives it away or banishes it to the shadows. Similar to this we have penal substitution which seeks to constrain or redirect God’s wrath from you and me onto Jesus (and those who do not accept Him). One gets a picture of Jesus holding His Father back in restraint, saying, “No dad, this person is one of mine”! God’s wrath is not avoided through free forgiveness but only satisfied in its redirection or payment taken from another source. Conditional immortality though, while not ignoring God’s wrath or the consequences of sin, promises a restoration of all things in Christ. Not in the sense that Universalism teaches (on an individual level) but in the sense that all of creation will be redeemed from the curse. Mankind (those who inherited eternal life) will be sanctified and glorified and we will be as He is. This is where conditional immortality and Christus Victor really overlap because creation itself will be redeemed from the curse as well (Romans 8:21-22) in the same sense that mankind is. Not every mosquito, tree or pet that ever lived will be raised again but the animal and plant kingdoms will be restored to their initial states of beauty. It’s not that there are no casualties along the way but Christ’s victory over death and the curse on nature will be total and complete in the end. Conditional Immortality and Christus Victor paint a more Christ-like picture of God. Eternal conscious torment and penal substitution both portray God in a manner that does not look like Jesus. It is hard to imagine Jesus throwing stones at the woman caught in adultery or harboring unforgiveness toward others until someone had been killed. In contrast conditional immortality and Christus Victor do offer us a more Christlike picture of God. When one sees God warring not against flesh and blood but against principalities, rulers, authorities, powers of this dark world and against the spiritual forces, we begin to see the cross and the final judgment as a victory against sin, Satan and death. We begin to see the Father as a God who has done everything outside of forcing someone against their will to be saved from their sins and death. When I read John 3:16, I see a loving Father’s rescue mission for a people who were headed toward destruction. Somehow, even though I had read it a million times before and it is written rather plainly, I used to read penal substitution and traditionalism into the text. I interpreted it as saying that, ‘God was so angry with those He loved that He had to punish His own Son, and whoever believes this would not suffer eternal burning with no hope of death but inherit eternity in paradise’. But now when I read it, I see Christ, victorious over death and the hope of eternal life for those who are bound to Him. For God so loved the world that He gave His only begotten Son, that whoever believes in Him will not perish but have everlasting life. I blog about a lot of different things over here but pretty much everything comes back to the way that we view God in light of who Jesus has revealed Him to be. When it comes down to it understanding who God is really is the whole point of theology; so if scripture tells us that God IS love (which is what 1 John 4:8 says), we should make sure that we have a good working definition of what love actually is. Especially when Jesus boils everything down for us into the command to “love God and to love your neighbor”. To put it another way, we cannot love in a God-like manner if we do not know what Gods love looks like. This is the love that is supposed to be so evident among us that it convinces the world that God sent Jesus and that He loves us much as He loves Christ Himself (John 17:23)! If someone has enough money to live well and sees a brother or sister in need but shows no compassion – how can God’s love be in that person? This is true love, it might not be beneficial in any way, it is others centered and sacrificial, it’s the “not my will but yours be done” kind of stuff. Somewhere along the path I think that we have forgotten what Gods self sacrificial love looks like and what it looks like when we start living it out ourselves. Consider the excerpt below taken from a second century manuscript called the ‘The Epistle to Diognetes’ which gives us a glimpse into the lives of some of the earliest followers of the Jesus. I will end off with this as well as it hardly seems necessary to add anything to it. They dwell in their own countries, but simply as sojourners. As citizens, they share in all things with others and yet endure all things as if foreigners. Every foreign land is to them as their native country, and every land of their birth as a land of strangers. They marry, as do all others; they beget children; but they do not destroy their offspring. They have a common table, but not a common bed. They are in the flesh, but they do not live after the flesh. They pass their days on earth, but they are citizens of heaven. They obey the prescribed laws, and at the same time surpass the laws by their lives. They love all men and are persecuted by all. They are unknown and condemned; they are put to death and restored to life. They are poor yet make many rich; they are in lack of all things and yet abound in all; they are dishonored and yet in their very dishonor are glorified. They are evil spoken of and yet are justified; they are reviled and bless; they are insulted and repay the insult with honor; they do good yet are punished as evildoers. When punished, they rejoice as if quickened into life; they are assailed by the Jews as foreigners and are persecuted by the Greeks; yet those who hate them are unable to assign any reason for their hatred. To sum it all up in one word - what the soul is to the body, that are Christians in the world. 1 – Not all Christians think that you are terrible people. I know that you have experienced some ‘conditional friendliness’ or ‘conditional love’ from Christians and that the smiles and attention we gave you stopped the minute that we realized that you were not buying what we were trying to sell to you. I know that many of us have looked down our noses at people who sin differently than we do. I’m sorry. I have come to realize that there are fantastic people out there who do not share my faith, charitable, trustworthy people who do good things just because they can and with such people it is a pleasure and honor being your friend. 2 – We don’t all assume that we were appointed to be the morality police of the world. So there was this guy named Paul who is kind of a big deal for us Christian folk. He wrote a bunch of letters that made it into the New Testament; one of those in particular was written to some believers in a place called Corinth where he addressed a sexual no-no that was going on, the kind of thing that one would expect to see on the Jerry Springer Show. In his address Paul makes a statement about the Churches duty to keep itself pure but at the same time remarks that we are NOT to judge what people outside of the Church get up to. It boils down to him saying that if you want to call Jesus Lord then one should submit to Him in all things but we should not force or coerce other people into living the same way. Actually, the early Church (and Jesus) had no intention of ever using power to control other people. It’s a far cry from today’s politics I know but it’s kind of the heart of what Jesus taught. 3 – We don’t all think that “Left Behind” was awesome. I must admit, I’m a bit of an agnostic myself as to how all of this is going to conclude one day. I grew up with the dispensationalist theology as described above, something that was only conceived of in the 18th century. It’s kind of hard to see things in a new way when it has been ingrained in you for decades but for now let me just say that not everyone believes and teaches the same stuff about the rapture, not everyone believes that the next President of the USA will definitely be the anti-Christ, many people believe that the Book of Revelation was fulfilled in 70AD already (along with some glimpses in the final chapters about how everything eventually ends as well). I will however be very surprised if I one day find myself rising through the clouds with Nicholas Cage on my left and Kirk Cameron on my right. 4 – We don’t all like Donald Trump. Really, American presidential hopefuls and Jesus couldn’t possibly be anymore different. 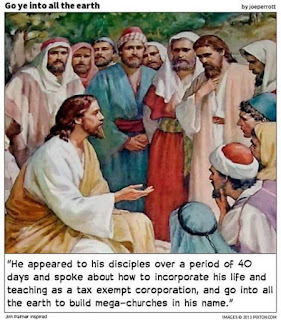 Many evangelicals cannot seem to see that but I hope that you can. Some of us don’t even think that Christians should have any business in politics. Jesus never went after Caesar's throne because He was not interested in Caesar’s kingdom. He never accepted Satan’s offer to have power over all the kingdoms of the earth because He was never interested in ruling the kingdoms of the earth. Some of us think that what the early Church believed and practiced was something resembling Christian Anarchism. A non violent, non hierarchical, community focused people whose allegiance was not to a flag, currency or country but to Christ alone. 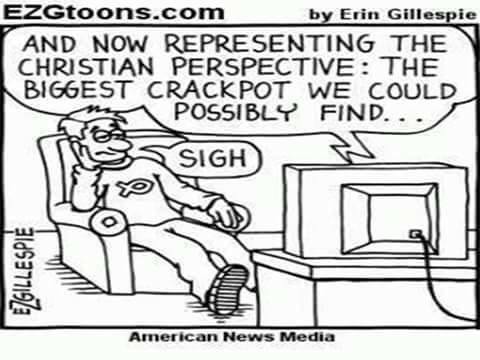 But back to the Trump statement, have a look at this short, funny video illustrating just how far apart the 'American Jesus' is from the Jesus of the gospels. 5 – We don’t all think God wants to torture you for the rest of eternity. I have visited a few atheist websites before; I have noticed that people are not offended that Jesus hung out with the social outcasts or that He befriended people of no reputation. No one seems upset that He turned water into wine (though they are skeptical that it happened to say the least), no one is offended that He healed sick people or that He preached about love, forgiveness and showing mercy. You probably actually liked it when he got up in the faces of the religious peoples. What people do seem to be offended by though is the kind of things that offend normal people, like torturing people in fire forever and ever. 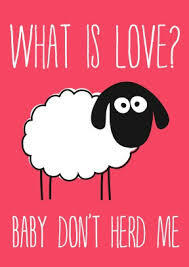 You would be right in pointing out that if I say the word ‘love’ then ‘eternal conscious torment’ is probably not the first thing that pops into anyone's head. The popular concept of hell as most people believe in it only really became the majority view in the Western church around about the 4th and 5th Centuries AD. I would submit that most people hold to it only because they are unaware of other options (apart from Universalism maybe). In short, let me just say that the idea that the soul is immortal is not found in the Bible but came through a Platonic influence that crept into the Church. My personal persuasion is that God so loved the world that He gave His only Son that whoever believes in Him will not perish (think about that word) but have everlasting life (in contrast to that other word). He is the savior, the rescuer and the life giver as opposed to the destroyer and the torturer. 6 – We don’t all think that God killed God to save us from God. One of the other favorite critiques of Christianity on atheist websites is regarding the Penal Substitutionary view of the atonement which is the most popular theory of our day about why Jesus had to die for us. 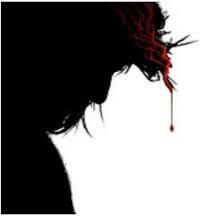 In plain English, this view says that man sinned and God had a dilemma, He was angry and needed to serve out some retributive justice but because He loved us, He instead sent His own Son to die in our place (killing the innocent and letting the guilty free does not sound like just judging to me). So God who cannot freely forgive under the demands of His own justice, killed His own Son instead, thus satisfying His wrath that we might get off the hook. 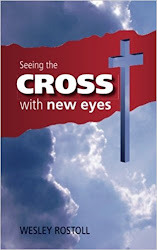 This view of the cross is rightly judged as barbaric and completely misrepresents the actual meaning of the cross. There is so much to be said about it that I am currently writing a book about it. It pits Father against Son, it makes the cross a fix for Gods anger rather than about something man needs. It likens God to the pagan deities of old who demanded child sacrifice to appease their wrath and on and on we could go. For now, all I want to say is that you are right to reject this god, He is not the God of the Bible. 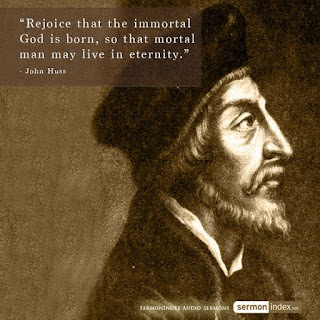 He is one that emerged out of 16th century reformed theology. I use church with a small ‘c’ here as I am referring to the system that developed under Constantine in the 4th century, flourished under Roman Catholicism and underwent some minor changes under Protestantism. I firmly believe that Jesus never intended on starting a religion of His own. He never tickled people’s ears; He never registered a nonprofit, tax exempt ministry, He never built a place of worship or told His followers to do likewise. He never mentioned a special day when His followers should gather together, sit in pews and sing songs or that the congregations should be split into classes of lay people and clergy. The early Church were a simple bunch, they met in each other’s homes over dinner time as often as they could where they shared life together. It was more of a family experience than a religious one. Now you and I can both agree that the little ‘c’ churches do some good in the community, the good ones provide all sorts of services to the community, from soup kitchens, to counseling centers and so on. I’m not saying that churches are necessarily bad, just that they are abiblical and that one does not need organized religion to be a Christian. 8 – We don’t all worship the bible. All Christians recognize the Bible as inspired and we all like to study it and talk about it but we don’t all necessarily see it with the same eyes. It might surprise you to hear that some of us acknowledge that there are some numerical inconsistencies and historical contradictions in the Bible (much of the atheistic research into this has being very helpful). Some of us recognize that there are stories in the Bible which are not meant to be taken literally, the poetic and apocalyptic genres are rich in symbolism. More importantly than this though, not all of us read it in a flat, 2-dimensional way. There are many of us who are as equally appalled as you are at some of the violent and discriminatory things contained in its pages. Here is the thing, those of us who believe that Jesus is the clearest portrait of God there is believe that the revelation of God in Him carries more weight than anything else we might read in the Old Testament. 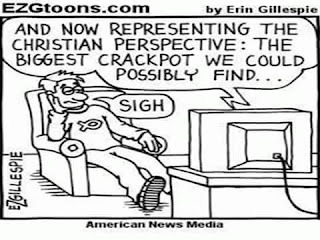 Jesus was well known for flipping people’s perceptions on their heads. He rebukes His disciples when they suggest pulling an ‘Elijah’ by calling fire down from heaven to consume their enemies, instead He tells His followers to love their enemies. He rebukes Peter for using a sword on another person. He calls out the religious leaders on their false piety and tells them that going through all of the ritualistic religious motions only served to blind them of who they really were. He challenges people to be merciful, forgiving and loving. Inspiration and inerrancy are topics for another time and another place but suffice it to say that you get biblians and you get Christians and telling them apart should be rather easy to do. Where do I even start, on behalf of all of us I apologize for Christian TV, especially the people with nice suites and fancy hair that we call televangelists. I’m sorry that when guilt trips stopped working that we promised financial blessings to get a tithe of your income out of you. I’m sorry for the hate we have fostered and the hurt that we have caused you, for unanswered prayer, and all of the shaming. I’m sorry that we have subjected to you to an entire genre of awful CCM artists but hey, you guys have Nickleback on your side so I kind of feel that we are even on that last one. Mostly, I’m sorry that when life happened you felt God was nowhere to be found in your darkest hour. My guess is that this is probably the number one reason people have for rejecting God. It's something I would rather chat about one on one over a cup of coffee though than over here. I know it’s cliché and religious Christians say it all the time but following Jesus really is not akin to religiosity. Since this post is more apologetic than evangelistic let me just say that more often than not I agree with you about the Christian religion. If you take one thing away from this post I hope it is a recognition that most of your issues with Christianity pertain to the church and the ugly things done in its name but not to the person of Jesus Himself. I don’t think that I have said enough to convince anyone that my invisible friend is real and that He defeated death when was He arose from the grave. But if I can cause you to consider that much of what is commonly held against Christianity probably does not reflect what the Bible and early Christians actually believed, that these things were later add on's that distorted the original message, then perhaps I have won a small battle. I would love to hear your thoughts. Peace.